A voluntary resignation by an employee, or a dismissal by an employer? In most cases, an employee who gives their employer a notice of resignation is not legally entitled to wrongful dismissal damages. It is important to note that a resignation must be voluntarily and freely given to be valid. However, a notice of resignation does not always have to be in writing to be valid, it may be inferred from an employee’s conduct. As an example, if an employee declares their intention to stop work and returns their keys, or tells co-workers that they will not be back, an employer may conclude that the employee has resigned. However, courts will not infer resignation when an employee’s words are vague or equivocal. For example, if an employee tells an employer that they plan to leave as soon as possible, or that they are looking for another job and cannot wait to leave, the courts will not find that the employee voluntarily resigned. To be an effective resignation, the resignation must be “clear and unequivocal.” The employee’s subjective intention to resign, and their words and actions associated with same, when objectively viewed, must support a finding of resignation. In this case, The Plaintiff sought damages against his former employer for wrongful dismissal since his employment was terminated without notice and without cause when he was escorted from the workplace by a manager. The employer claimed that the Plaintiff voluntarily resigned when he told his manager that he quit, and had expressed his intention to resign to his coworkers beforehand, and therefore he was not entitled to any damages. It is common ground that both a dismissal by an employer and a voluntary resignation by an employee require a clear and unequivocal act by the party seeking to end the employment relationship. There is a distinction, however, in the tests to be met in order to establish each of these methods for ending the employment relationship. A finding of dismissal must be based on an objective test: whether the acts of the employer, objectively viewed, amount to a dismissal. A finding of resignation requires the application of both a subjective and objective test: whether the employee intended to resign and whether the employee’s words and act, objectively viewed, support a finding that she resigned. The objective part of the test focuses on what a “reasonable employer” would have concluded regarding the intentions of the employee based on what the employee says or does. The subjective aspect takes into account the employee’s state of mind and their conduct in relation to that state of mind. Whether words or actions amount to a resignation must be determined contextually, with reference to the surrounding circumstances. If the resignation occurs during a heated exchange, an employer has a duty to revisit the matter after a ‘cooling off’ period to confirm an employee’s intention to resign. The employer did not advise the Plaintiff to take some time to consider his resignation, nor did it try and address his concerns. Instead, the employer accepted the resignation immediately, indicating that it was taking advantage of the situation to secure the Plaintiff’s departure from the company. A series of emails between the Plaintiff’s direct manager and the human resources manager demonstrate the employer’s haste to confirm the Plaintiff’s resignation. The employer seemed more concerned with ending the Plaintiff’s employment than attempting to clarify his intentions. 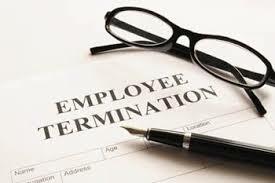 In the end, the court determined that the Plaintiff had not resigned from his employment; he had been terminated by the employer. The Plaintiff had been escorted from the office by a manager prior to the end of his shift, and was asked to return his keys. These actions confirmed that the Plaintiff could no longer access his work, and therefore that his termination was final. A similar finding occurred in the case of Lelievre v. Commerce and Industry Insurance Company of Canada, 2007 BCSC 253, wherein the employer was found to have terminated the employee when it demanded the return of company property, including her keys, notwithstanding that it made this request after the plaintiff had expressed her intention to resign. This case highlights the fact that a voluntary resignation by an employee requires a clear and unequivocal act and that the surrounding circumstances are of great importance to this consideration. It is important to keep in mind that each situation has different facts which can lead to different outcomes.